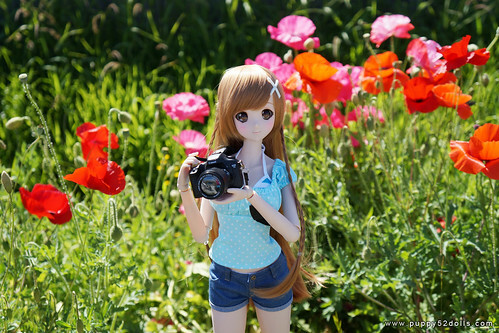 There are two different type of doll collectors (at least I think) one type buys the doll, stores it for display only, I’m the kind who take my dolls out for photos! On a nice sunny (and slightly breezy day) I decided to take Mirai Smart doll SDMV out for a “test drive” to see how it feels to take her out for photos :) What is Smart doll? 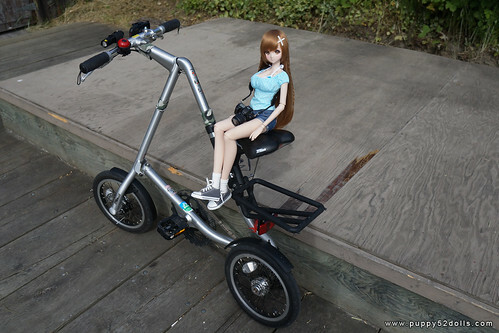 I was really excited when I found out that Mirai comes with a telescopic stand which we can plug into the back of the smart doll. 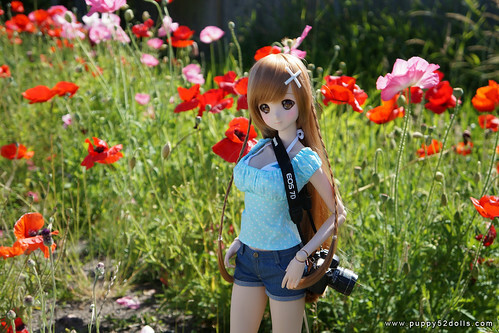 Usually with the regular doll, during a breezy day or on uneven surfaces, it is quite impossible to pose the doll without the big risk of having the doll “face plant” and get hurt. Imagine the pain when the doll is scratched or damaged! 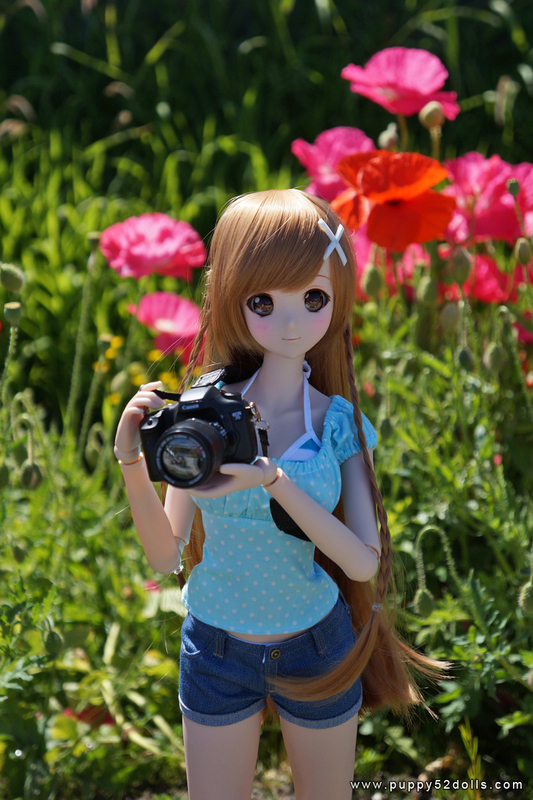 When doing doll photography usually we have the camera and other equipment with us to take care of, and not having an extra stand (which may not work out) to worry about is a plus! Below is picture before editing the stand (and the shadow) out. Thanks for looking! I hope you enjoyed the photos as much as I did taking them! 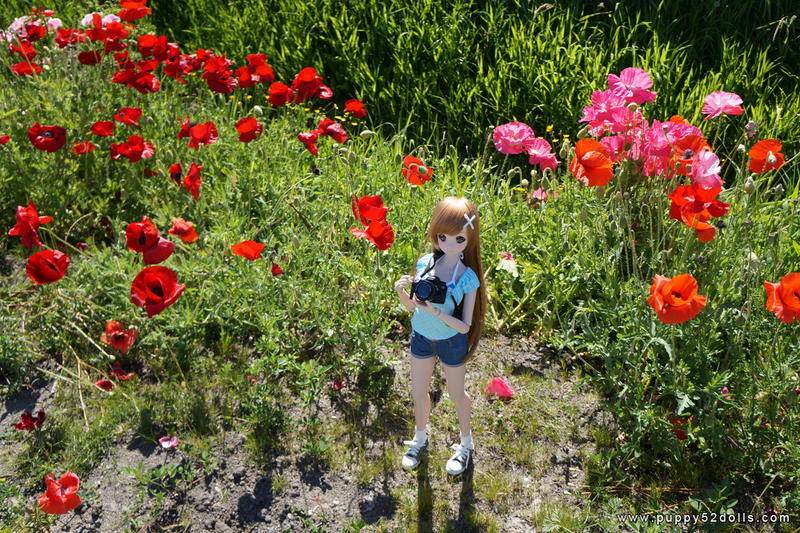 I have more photos taken the next day at different locations. I’m looking forward to share them at my next blog post! Mirai’s shorts in these photos is specifically made for Smart Doll hips :) I also intend to do some preorders for them after I edit the pattern a little bit more, in future if there is interest! With my DD I'm notoriously bad about not using stands (I don't think we have any for our DD) mostly because they always looked big and clunky. Mirai's stand looks like one I'd actually use! I’m really curious to see how the DD clothes I’ve already designed will fit, especially since she has more of a realistic waistline. My husband and I are both super excited about the automatic version too. I really can’t wait to see what she can do!